It's a bit of a paradox though. I have a theory that Lutherans hate themselves. In fact, my theory is that Lutherans hate themselves so much, that they are willing to do anything and everything within their power to distance themselves from a distinctly "Lutheran" identity as Christians. Of course, this is quite paradoxical, because it's only by *loving* themselves (as well as *loving* other distinct denominations and confessions of the faith) that they display this hate of who they are spiritually speaking. To put it another way, when man's ways, words, and wisdom take precedence over and above God's ways, words, and wisdom, then you are really succeeding at *hating* your confessional identity. In essence, you are exalting man (exalting yourself) over Christ. I've been thinking about this all day today in light of some disturbing current events within the LCMS that involves the District where I live. But first, a few quick words to help set the stage. You know, it's such a sad state of affairs that I always have to preface a piece like this with a disclaimer to remind you, the reader, that I'm not naive nor self-righteous. I know what the Word of God tells us to expect when it comes to the "goats," "tares," and "false teachers" within Christ's Church. I know that I am reminded daily of my own horrible transgressions, which means that I am a sinner no better than anyone else. I also know that writing a commentary like this is frowned upon within the LCMS (particularly when a layman like me does it) and that the response will be cries of "You're breaking the 8th Commandment!" and "Remember what Matthew 18 says!" The irony always gets me though, because it's always the very people who are ignoring God's Word and our Confessions, or "the faith that was once for all delivered to the saints" (Jude 1:3), who are quick to cry the loudest and then lecture laymen like me for not keeping to our place in the pews as though our role as their fellow brothers and sisters in Christ is to remain as silent as a church mouse despite what we're hearing and seeing from the Lord's called and ordained servants who should know better. All this has been said about secret sins. But where the sin is quite public, so that the judge and everybody know about it, you can without any sin shun the offender and let him go his own way, because he has brought himself into disgrace. You may also publicly testify about him. For when a matter is public in the daylight, there can be no slandering or false judging or testifying. It is like when we now rebuke the pope with his doctrine, which is publicly set forth in books and proclaimed in all the world. Where the sin is public, the rebuke also must be public, that everyone may learn to guard against it. Even so, I'm reminded of something Rev. Todd Wilken once wrote: "If your theology is a reaction to someone else's, it will never be centered on the Gospel." I'll admit, it's been a full year and that's still a struggle for me. So, with that in mind, I want to proceed with caution here, but proceed nonetheless given the importance of the subject matter, because I believe it is emblematic of a bigger problem here in the Eastern District. Contrary to what some might think, it gives me no pleasure whatsoever to have to write things like this. In fact, it grieves my heart and mind to no end! However, to remain quiet when I should be a faithful witness to the truth would make me no better than those I am criticizing and calling to repentance. What's that? Yes, I do believe the intention with an entry like this should always be to "pay attention to yourselves!" and "if your brother sins, rebuke him" (Luke 17:3) since the goal is to speak "the truth in love" (Ephesians 4:15), "and if he repents, forgive him" (Luke 17:3), because our intentions should always be oriented toward the mindset that we are to "save others by snatching them out of the fire; to others show mercy with fear, hating even the garment stained by the flesh" (Jude 1:23). Galatians 6:1 is pretty clear about this sort of thing too. Now you know where I'm coming from and why I feel the need to write this today. In short, living here in the very liberal, very "non-Confessional" LCMS-Eastern District continues to present an enormous challenge for me and my family, especially when we continue to witness Lutheran Pastors and so-called "Lay Leaders" whom we know and love continue to endorse beliefs, teachings, and confessions that are in no way, shape, or form compatible with our distinct doctrine and practices, which is actually Christ's doctrine and practices that He Himself instituted for us from the very beginning. Worse, this all continues unabated despite what's going on at the highest levels our Synod to counter such apostasies, blasphemies, and heresies and despite the fact that these concerns have been brought to the attention of such Pastors and so-called "Lay Leaders" at the lowest levels of our Synod within each parish as needed. So, though not surprising, you can imagine my frustration when I read about the latest "controversy" involving my District's elected District President, Rev. Chris Wicher, who I know because he baptized my niece (my goddaughter) and my nephew many years ago. Personally, I think that was a necessary response from the Editors to Mr. Wicher's recent comments on the conduct of the Divine Service and the adoration of Christ he witnessed firsthand at this summer's Synodical Convention, which amount to nothing but his "Rome-a-phobia" as one person put it. Other Lutheran laymen appropriately added, "I don't know what this DP's difficulty with 'genuflecting' is...since Christ is physically present, there should be no problem!" and "I guess this DP probably has a problem with the shepherds and magi 'genuflecting' & bowing before the Holy Infant Christ!" As he so often does on Issues, Etc., Rev. Wilken chimed in as "The Voice of Reason" when he observed, "When our ecclesiastical supervisors don't recognize something as basic and Biblical as kneeling when they see it." All of those comments are spot on. Seriously, I couldn't believe Rev. Wicher's outrage in response to the reverence he witnessed in the form of kneeling at the altar at the Synodical Convention, and I had to read it twice since I was sure it was something put out by Lutheran Satire or The Babylon Bee. Once I realized it wasn't, my displeasure subsided, and it began to make perfect sense to me, and I can understand why the common liturgical practice was so foreign and offensive to him. You see, here in the Eastern District (at least, in the Western New York area near Buffalo, NY), there are many churches in short supply of a traditional display of reverence in their worship practices each week. There are several churches that NEVER have its communicants approach the altar much less approach it and then kneel down before receiving the Lord's Supper. As the article pointed out, "kneeling" is adiaphoron, yes, but this is precisely what happens every single time you jettison your confessional identity in favor of something "new" and "pragmatic" that's divorced from doctrine. I guess we could even go so far as to say that Rev. Wicher's true feelings on what it means to be Lutheran are vastly different from his Confessional counterparts within the Synod. At this point, what is a mere layman like me, one of Christ's sheep who expects to be shepherded by one of His own Under-Shepherds like Rev. Wicher, supposed to think when he or she reads about something like this? Sure, one sole example of an eyebrow-raising departure from Lutheran (a.k.a. orthodox; Biblical) tradition like this is hardly a cause for major concern, right? Ok, then what happens when this is simply the latest in a series of examples where the aforementioned District President exhibits a serious lack of Biblical and Confessional discernment and understanding when he's been entrusted to know better? 2013: LCMS Eastern District Cites Rachel Held Evans As Some Kind of Authority!?! 2015: We Need More 'Licensed Lay Deacons' In The Eastern District-LCMS, Huh? Forgive me for being so blunt here, but why do I continue to feel as if Rev. Wicher (and those Pastors and so-called "Lay Leaders" within his District) are intentionally trying to force the rest of us to affirm the reality of whether or not believers can truly forgive one another "seventy times seven" (Matthew 18:21-22; Luke 17:1-4) times? All kidding aside, of course, we all can do that, and we all should do that...so long as the believer in question actually repents for their sins "seventy times seven" times too. What makes this latest incident even more troubling for me is that it comes right on the heals of two other questionable incidents within the District (one that I've already written about and the other I was just sitting down to write about before this story distracted me today). 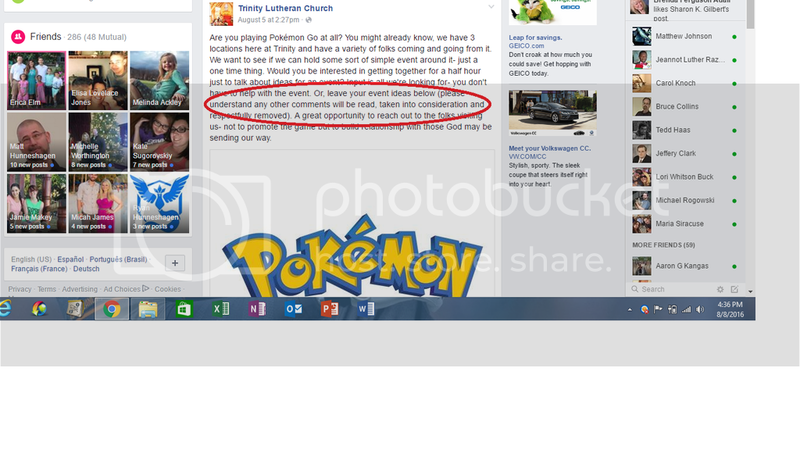 You'll recall that it was just last week when I published a piece about my old church's interest to want to use the popular Pokemon GO mobile app game to draw non-believers in the community to the church. After I wrote that (and after another person expressed her displeasure with the concept, but for different reasons), the original Facebook post was taken down and replaced with this one that now included the words, "please understand any other comments will be read, taken into consideration and respectfully removed" (well, at least they're nice about being fascist). What in the world is going on here!?! Let's keep Lutheranism out of it for just a moment. This is a supposedly Christian church and a Christian school with a 165-year history responding in that way? Whatever happened to "so Jesus said to the Jews who had believed him, 'If you abide in my word, you are truly my disciples, and you will know the truth, and the truth will set you free'" (John 8:31-32)? 2013: This Was A Lutheran 'Christmas Sermon'!?! 2014: I Shot A Giant Elephant Last Night, But Not Before It Killed My Congregation! The sad thing is that nothing changes -- it only seems to get worse! How has one Lutheran church and school within Rev. Wicher's District been allowed to operate in this manner for all this time? How hypocritical, sad, and unfortunate indeed, but it's to be expected in light of his recent repulsion over the practice of kneeling he saw. I hate to say it, but many Lutherans are collectively suffering from spiritual amnesia to the point where they currently have an identity crisis and can't even remember that it was a faithful and fierce resistance to false doctrine (thanks to the sheer grace of God and the power of the Holy Spirit) that led to the creation of the Lutheran church in the first place. Nowadays, doctrinal debates of any kind -- including the fundamental truths about what it is we claim to believe, teach, and confess and why -- are completely "off limits" simply because no one has the stomach to engage in what should matter most to us. Instead, "Fellowship" and "Relationship" have both reached a sacramental status. And we're surprised how the "Five Two" crowd could ever exist within the walls of our own Synod? Doesn't seem like that far of a stretch now, does it? I mentioned there were two "questionable incidents" that had recently occurred in the Eastern District. That was one. What was the other? Would you believe it was something even worse, but something even more demonstrative of the same kind of Unionism and Syncretism we've seen here before? 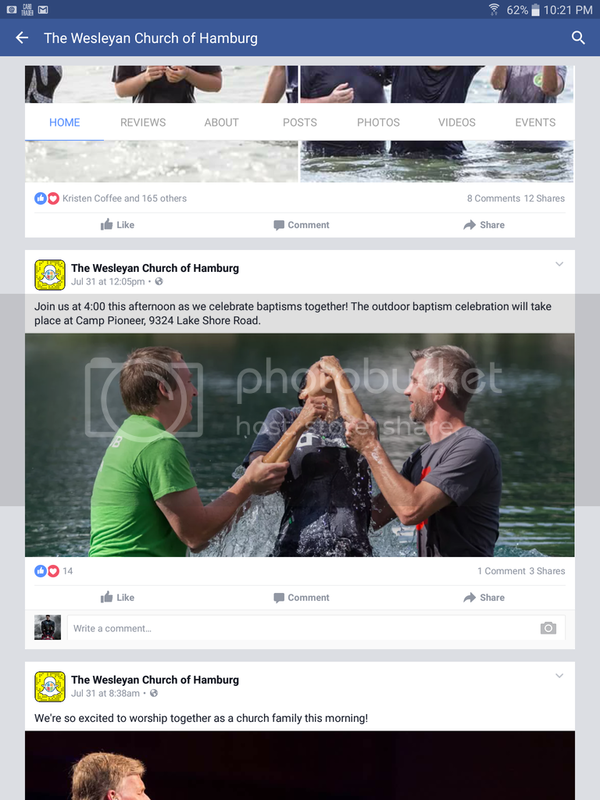 A local and popular Wesleyan megachurch hosted a "Believer's Baptism" event at an LCMS owned and operated Camp & Retreat Center!?! Really? Is this something that Lutherans should even allow or approve of? Once again, it's heartbreaking to learn about something like that, but not surprising whatsoever given all the history and including Rev. Wicher's views. It's rumored that besides "We Desire Healthy Leaders Vigorously Equipping God's People To Promote Kingdom Growth" as its primary "Vision Statement," the Eastern District next most popular mantra is "The Ends Always Justify The Means!" Why not? A baptism is a baptism, right? Wrong. Let's not forget, Wesleyans hold to such un-Biblical doctrines as "Infant Dedications," "Believer's Baptism (Credobaptism)," "Free Will," and "Symbolic Sacraments" (meaning they do not believe in the efficacious nature of the Lord's Sacraments, but believe that a person performs the act of receiving Baptism and Communion only as a "symbolic gesture" or a "show of good faith" and "public profession of faith" in Christ). Plus, this particular Wesleyan church has been aggressively promoting this "Our Next Chapter" video after hiring a new Pastor in recent weeks so it's pretty clear what it is they believe, teach, and confess that should be incompatible with Lutheranism. Well, on second thought, that figures though. It's all about "YOU For Christ!" and not "CHRIST For You!" Seems they have a lot in common with the Five Two "Sacramental Entrepreneurs" within the LCMS who believe that "A Relationship With Me, Myself, And I For You!" is the only sacrament there is. Now, please tell me what was "Lutheran" about any of that? Furthermore, why would a Lutheran Camp & Retreat Center be ok with allowing a non-Lutheran church to host an event there when they knew people were going to be baptized under false pretenses stemming from false doctrine? It's a rhetorical question. I know the answer, because I actually worked for that very same LCMS owned and operated Camp & Retreat Center a little over 5 years ago as the "Right Hand Man" to the Executive Director. I ended up resigning after my numerous concerns went unaddressed after several attempts to fix things. The response I received back then is the same response anyone will always get here in the Eastern District I'm afraid. Each and every time I've approached anyone at that Camp, at that church, at that school, or at the Eastern District offices about a legitimate doctrinal concern, it always seems to fall upon deaf ears. They say one thing, then do another. I've made sure that I've taken my time (sometimes I've taken days, weeks, and/or months!) to examine myself first (Matthew 7:1-6), and then I took the time (also sometimes days, weeks, and/or months!) to put together all the Scriptural and Confessional references to support where I'm coming from to help make my case. The goal is always the same. I just want to help my fellow brothers and sisters to see the error of their ways that has become a sin, and I've done it all in the hopes of leading them unto repentance before God, which would bear the fruits of forgiveness and restoration within this regional congregational community. It's never a game of "Gotcha!" since I'd want (and expect) those same individuals I call brothers and sisters in Christ to do the exact same thing for me if I was caught in sin. And yet, each and every time, without fail, I haven't had a single person respond to any of those Biblical and/or Confessional points with anything other than a statement along the lines of, "Well, I'm really sorry that you feel that way about it..." as if my whole reason for bringing it up, and risking such things as my friendships, my job, and family's spiritual health and well-being in the process, was predicated on my own subjective experiences and feelings as opposed to the objective truth and reality of God's Word and the Confessions. Everyone continues to say and do the same things without a care in the world as if nothing was ever said by me at all, and it always devolves into becoming personal, and becoming about me or the people (a.k.a. our Church Fathers and Pastors) that I've cited to try and make my case. What they fail to understand is that it's not (and never was or is) about me! It's about Jesus Christ, His Word, His Sacraments, and His Church! It leaves a person wondering at what point do Mark 6:11, Matthew 10:14, and Luke 9:5 have to be applied in cases like these? My goodness, will we ever get to a point where we LCMS Lutherans can at least agree that doctrine and practice matters (that "doctrine is heaven")? I know I'm preaching to the choir, and that the likelihood is that this sort of thing will continue to be an issue within Christ's Church regardless of one's denomination, and I suppose I should expect this reality here in the Eastern District in light of the fact that this District President encourages and supports things like "Contemporary Worship," "Liturgical Dance," and an "Every Member A Minister" mentality -- all of which make YOU the focus and "star" of church and mission as opposed to being firmly Christ-centered and cross-focused as we Lutherans should be. 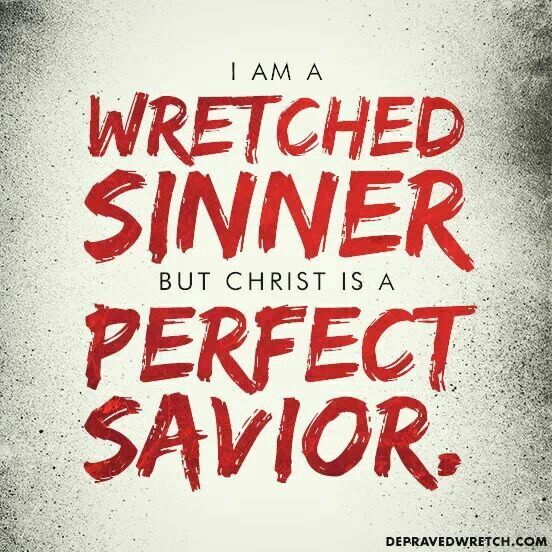 In closing, please don't misunderstand me either, because I'm by no means perfect at all, and I must take my share of the blame whenever I'm unable to overlook another brother's sins (1 Peter 4:8) like I've been guilty of from time-to-time. While that's true, how can I just sit by quietly when false doctrine is being spewed over and over again as though it were "Gospel truth" (or when it's treated as "no big deal")? How can I remain silent when many have gone to this brother of ours in love more than once both privately and publicly I'm sure to show him his sins, reminding him of the forgiveness and grace that's available to him if he'll just repent, and yet, he continues to choose to go his own way like this? How can the other Pastors, so-called "Lay Leaders," and parishioners within his District see that time-after-time and not end up thinking that it's ok for them to do the same thing themselves? What motivates me is a genuine concern for Christ's Church, a genuine concern for my brother who is caught in sin, and a genuine concern for those who are under his leadership and teaching, and it's all fueled by the knowledge that I was once like him and almost contributed to shipwrecking my own faith as well as the faith of others (1 Timothy 1:19) despite my best intentions. I learned the hard way that sincerity and good intentions do not guarantee a good handle of Law and Gospel truths and I am forever grateful to the Lord for inspiring complete strangers to correct and rebuke me when my family members and friends were too afraid to do so themselves. Galatians 1:10 (ESV) For am I now seeking the approval of man, or of God? Or am I trying to please man? If I were still trying to please man, I would not be a servant of Christ. That's why when this kind of apathy and false doctrine coming from anyone, let alone a District President, is unacceptable. It must be dealt with firmly and lovingly. Souls are at stake, are they not? Don't believe me? Think I'm overreacting? Still not convinced? 1 Corinthians 11:18-19 (ESV) For, in the first place, when you come together as a church, I hear that there are divisions among you. And I believe it in part, for there must be factions among you in order that those who are genuine among you may be recognized. 1 Timothy 6:12 (ESV) Fight the good fight of the faith. Take hold of the eternal life to which you were called and about which you made the good confession in the presence of many witnesses. Galatians 2:4-5 (ESV) Yet because of false brothers secretly brought in -- who slipped in to spy out our freedom that we have in Christ Jesus, so that they might bring us into slavery -- to them we did not yield in submission even for a moment, so that the truth of the gospel might be preserved for you. Romans 16:17 (ESV) I appeal to you, brothers, to watch out for those who cause divisions and create obstacles contrary to the doctrine that you have been taught; avoid them. Titus 3:10-11 (ESV) As for a person who stirs up division, after warning him once and then twice, have nothing more to do with him, knowing that such a person is warped and sinful; he is self-condemned. Can't argue with any of that, but pointing out these passages of the Law will almost certainly be akin to breaking the new 11th Commandment of "Thou Shall Not Offend" and I won't even get the chance to offer the passages that are pure Gospel if people like me are marginalized from the start for speaking the truth. I so desperately want us to reach "the unity of faith" (Ephesians 4:13), but not unity at all costs or at the expense of pure doctrine. Besides, true unity is a work that can only be accomplished by the Lord Himself. My role (and yours) is to simply be a faithful witness by proclaiming the truth about what it is we believe, teach, and confess. It's reminding our brothers and sisters that doctrine does matter -- it matters a whole lot -- and we demonstrate our love for God, His Word, His Sacraments, and His people by our desire for understanding and upholding pure doctrine (Jude 1:3). The Word of God is clear. Our Confessions are clear. 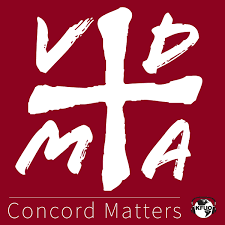 If we're all Lutherans like we claim to be, then we should all be able to reach agreement quickly on what both the Bible and the Book of Concord says about these things. If not, then all our talk of "Mission" and "Making More And Better Disciples of Jesus Christ!" is hollow and nonsense. Lord, please forgive me, because I don't know if I have the patience or the time for any of these games with my brothers and sisters who bear Your name here in the LCMS-Eastern District anymore when I know that I should (Matthew 7:6). Heal my broken heart and burdened conscience. Protect the unsuspecting sheep who sit under their teaching on a regular basis. Help to bring them to believe that doctrine matters, that doctrine informs our practices, and to then see the error of their ways. May such a revelation lead them to confess their sins and repent of them before You. May such humility establish true unity among us all; unity around the faithful preaching of Your Word and the faithful distributing of Your Sacraments to this body of believers. In the meantime, though difficult during times like these, I will continue to trust You, trust Your Word, and trust Your Sacraments rather than trusting myself, trusting my words, or trusting my actions. Please help me continue to give a faithful and firm confession regardless of the personal cost to me and my family, and help me to deliver it to others who need to hear it through my vocations, but see to it that such a confession is flavored with forgiveness, grace, mercy, and love. Amen. My dear friends, "The Year of Hating Bad Theology (#YOHBT)" cannot be restricted to a single year. It's a way of life for the "Church Militant" that will be our present reality until our Lord and Savior's Second Coming. Why do so many Lutherans dislike our rich heritage and history? Why do so many Lutherans continue to hate who we are in Christ's name? Why do so many Lutherans continue to flirt with false doctrine and perverted practices? Why do so many life-long LCMS Lutherans suffer from spiritual amnesia that they've let our confessional identity become a scarlet letter? In a Lutheran layman's terms, perhaps this is what happens when Lutherans hate themselves. 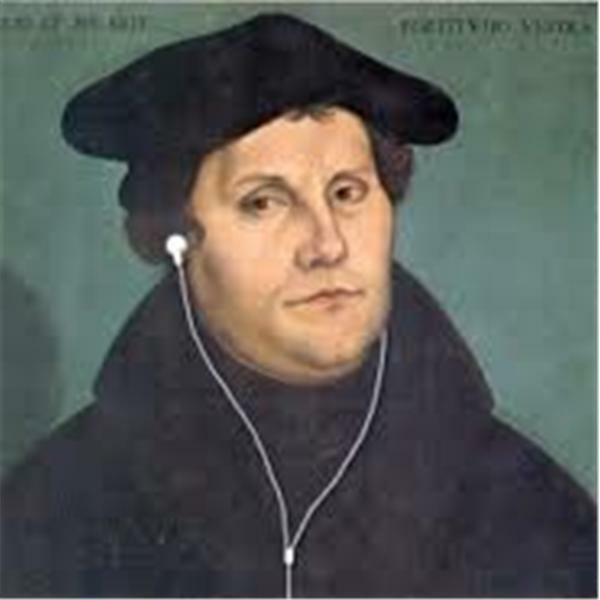 I am not a Lutheran, but am very interested in Lutheran theology. Yes, my background is evangelical, but i haven't gone in ages. I am a bit familiar with the LCMS as I have worked in a pre school for many years. No one on staff seems to talk about Lutheran theology. . I have only learned about Law/Gospel on social media. I want to learn more and are many churches different? I've been stumped for years. Thanks for visiting and for commenting here! The short answer is that ALL Lutheran churches within the LCMS are supposed to be "Confessional" in doctrine and practice meaning they subscribe to and believe, teach, and confess exactly what the Christian Book of Concord (which simply repeats what Scripture already says) believes, teaches, and confesses. The problem these days is that you have many LCMS churches that pay lip service to the Confessions, but then their actions betray such lip service. So, that's why some people like me will make sure to always include the "Confessional" moniker before the word "Lutheran" even though it should be redundant since "Lutheran" should certainly be synonymous with what it means to be "Confessional." Unfortunately, your experience at a Lutheran Day School is very similar to the one me and my family have had. Our children (as well as my nephew) attend the second-oldest Lutheran Day School in the country, and yet, they are VERY FEW things about it that scream "We are distinctly Lutheran and here's why..." Similarly, no one really embraces and promotes distinctly Lutheran theology b/c the teachers and student body aren't all Lutherans. 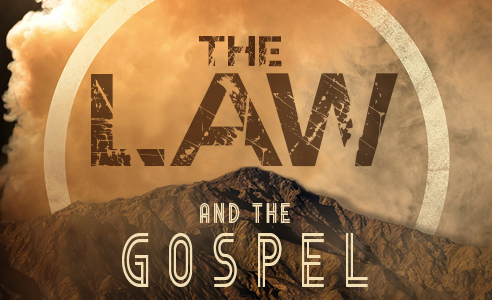 As a result, "Gospel Reductionism" reigns supreme and everyone's always very careful to make sure no one if offended by distinctly Lutheran theology. If you still can't find one in your area, then please come back here and let us know since me (or someone else reading this) might be able to suggest a church that's not listed there. You mentioned learning about Law and Gospel only on social media so far. 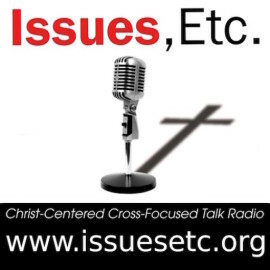 Well, if you haven't already, please be sure to check out Worldview Everlasting, Table Talk Radio, and Issues Etc. which are all fantastic resources, especially for new Lutherans (or Christians exploring the Lutheran faith). I hope that helps answer your questions. Please feel free to stay in touch. "Kneeling is an adiaphonran for now. Do it or not according to your own good conscience. But recognize that it will not be so at the judgment. Then you and every person on earth will kneel, along with every angel." Isaiah 45:23 (ESV) By myself I have sworn; from my mouth has gone out in righteousness a word that shall not return: "To me every knee shall bow, every tongue shall swear allegiance." Romans 14:11 (ESV) for it is written, "As I live, says the Lord, every knee shall bow to me, and every tongue shall confess to God."